Roundup is an herbicide manufactured by Monsanto. Many agricultural workers have been exposed to this herbicide. Unfortunately, studies have found that an active ingredient in the product is glysophate, a carcinogen linked to non-Hodgkins lymphoma and leukemia. At Moll Law Group, our Roundup lawyers assist victims who have suffered from various forms of cancer as a result of exposure to this product. We have filed our complaint against Monsanto, asserting failure to warn, among other causes of action. The Roundup cases that we are handling were consolidated before Judge Vince Chhabria of the United States District Court for the Northern District of California. The court has scheduled an initial case management conference for November 16, 2016. A failure to warn is also known as a marketing defect, which is one of three categories of actionable product defects. To establish a failure to warn using a theory of strict liability, we will need to establish that Roundup carried a potential risk of causing cancer that was knowable given the medical knowledge accepted in the scientific community at the time that it was manufactured. We also will need to show that the risk presented a substantial danger when Roundup was used in a reasonably foreseeable way, ordinary consumers would not have realized the potential risk of developing cancer, the defendant failed to warn of the risk, the plaintiff developed cancer, and the lack of warnings was a substantial factor in causing the cancer. Compensation that may be available if a Roundup attorney establishes that Monsanto's failure to warn caused your illness includes medical costs, lost income, household services, pain and suffering, mental anguish, and loss of enjoyment. The amount of compensation may vary depending on the individual characteristics of the patient and the type and extent of the cancer that the patient developed. 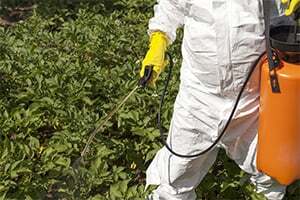 If your loved one died due to developing cancer from Roundup, you may be able to bring a wrongful death lawsuit. This type of case may be brought by the survivors of the victim, such as a spouse, child, or domestic partner, or the victim’s estate’s personal representative. In addition to proving a failure to warn, you will need to establish your relationship to the victim and your right to wrongful death damages. Compensation that you may be able to recover in a California wrongful death lawsuit includes funeral and burial expenses, medical bills, lost wages, loss of anticipated financial support, loss of love, and the value of household services. If you developed a type of cancer or lost a loved one because of Roundup, Moll Law Group may be able to represent you in a lawsuit against the manufacturer. Our Roundup attorneys represent victims nationwide, including in states such as Michigan, Illinois, Ohio, Pennsylvania, Texas, New York, Florida, and California. Billions of dollars have been recovered in lawsuits in which we have been involved. Call us at 312-462-1700 or use our online form to set up a free consultation with a toxic tort attorney.